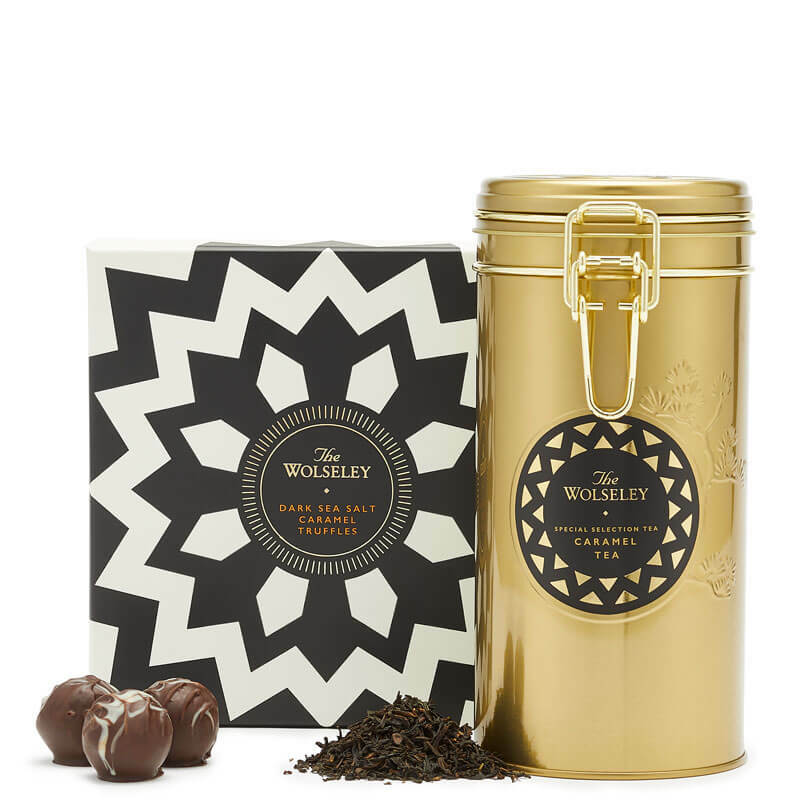 A delightful combination of our popular chocolate truffles and a surprisingly unique tea. 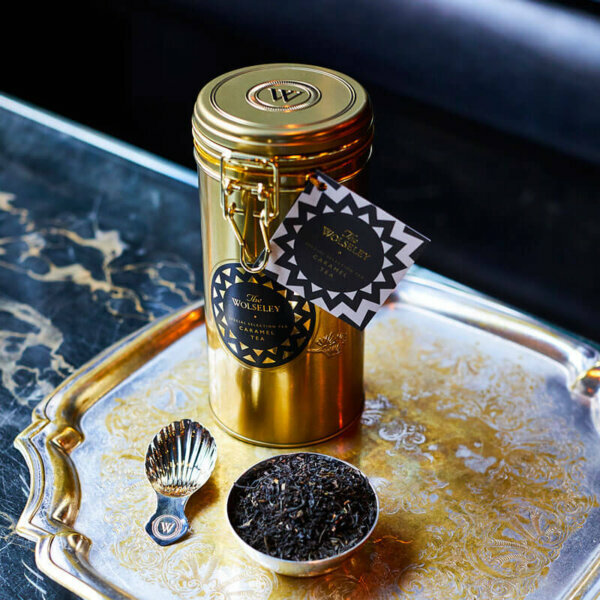 The Wolseley’s Caramel Tea is a smooth blend of Nilgiri black loose leaf teas expertly combined with natural caramel. It is produced by a small NGO-run co-operative in the Sahyadri Mountains in Southern India and pairs surprisingly well with our Dark Sea Salt Caramel Truffles. Made using artisan methods, each hand finished 60% dark chocolate shell holds a luxuriously smooth caramel centre with just a hint of sea salt.